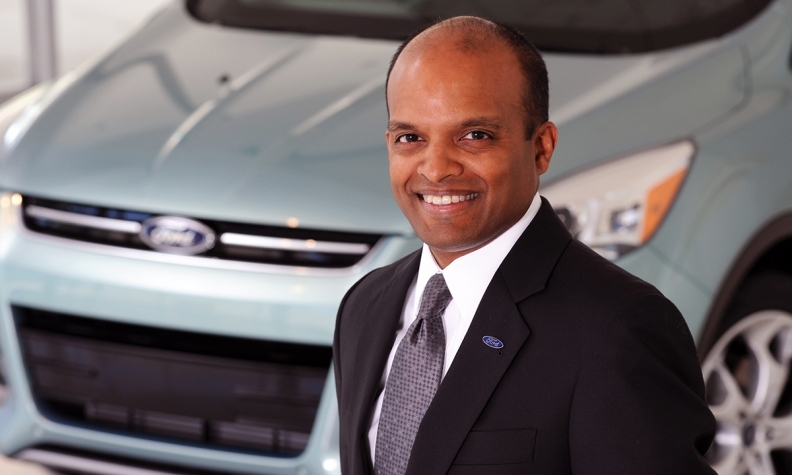 DETROIT -- Raj Nair, ousted Wednesday as Ford Motor's president of North America, will lose a $5 million stock bonus given to him last year, as well as a number of other bonuses and awards, the automaker said Thursday in a filing with the Securities and Exchange Commission. Nair was one of several top executives to get large retention bonuses last May, days before Ford replaced Mark Fields as its CEO. The bonuses are scheduled to vest in 2020, so Nair had not yet received any of his. The SEC filing said Nair also will not receive a company performance bonus for either 2017 or 2018. It's unclear how much the 2017 bonus would have been worth, or how much he had earned toward this year's bonus. Nair, who had been with Ford for 31 years, abruptly left Wednesday after an anonymous complaint prompted an internal investigation that uncovered instances of "inappropriate behavior." Ford has not disclosed any details of Nair's actions. It appointed Kumar Galhotra, its chief marketing officer and head of Lincoln, to replace Nair on Thursday. The move means Nair loses out on outstanding unvested time-based restricted stock units, which included the $5 million retention bonus; performance-based restricted stock units that are still in their performance periods; any final award for the 2015-17 performance-based restricted stock unit grant; and unexercised stock options, according to the SEC filing. He remains entitled to retirement benefits and health care. Nair also has agreed to cooperate with any future investigations or litigation, and has signed a two-year noncompete agreement. There are no current investigations or lawsuits involving Nair, Ford said. Ford did not disclose Nair's salary. Because he was not among the company's five highest-paid employees, details of his compensation did not appear in the company's March 2017 proxy filing, when Nair was head of product development.